[HAUL] by C: Going All Out for NYX! Cherry Culture Haul! Cherry Culture recently had a sale for 40% off their entire range of cosmetics. Mary and I are always on the look out for sales, especially for those involving beauty products that are not readily available in Australia. Although in the recent months Target has brought in the NYX ranges down under, their price is just ridiculous (surprise, surprise). Which is why we decided to exploit the Cherry Culture sale and go crazy! 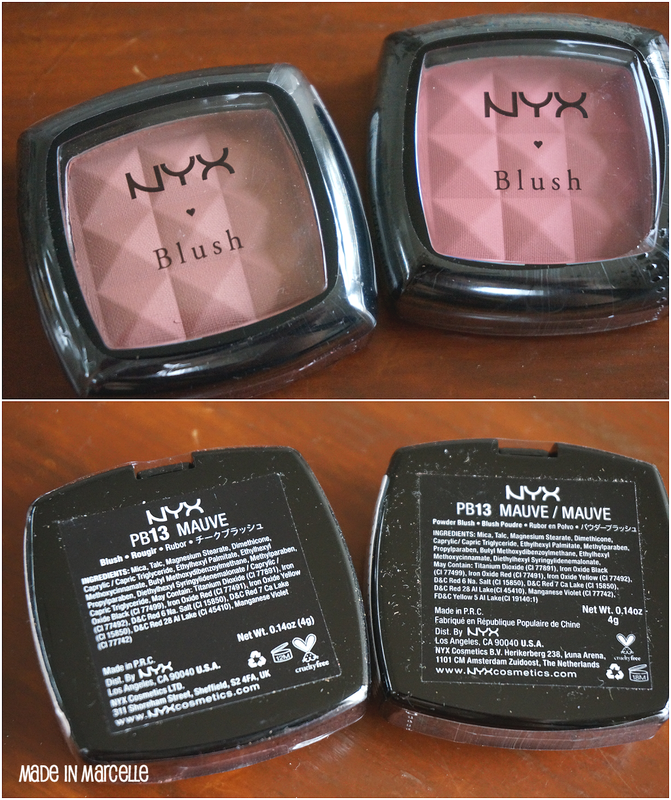 In our last Cherry Culture Haul post I predominantly bought NYX eye makeup products while Mary got a bunch of blushes. This time, after extensive research both online and offline, I purchased mainly blushes since Mary has been raving about them. It was hard to find the products I wanted at Target as my local one only has a small range of NYX. So I had to rely on online swatch photos to get a sense of what the colours were like. NYX Rouge Cream Blush in Golden and Boho Chic. NYX Powder Blush in Taupe, Mauve, and Pinched. NYX Ultra Peal Mania Loose Eyeshadow in Mink and Mocha. Okay, here is the weird thing. 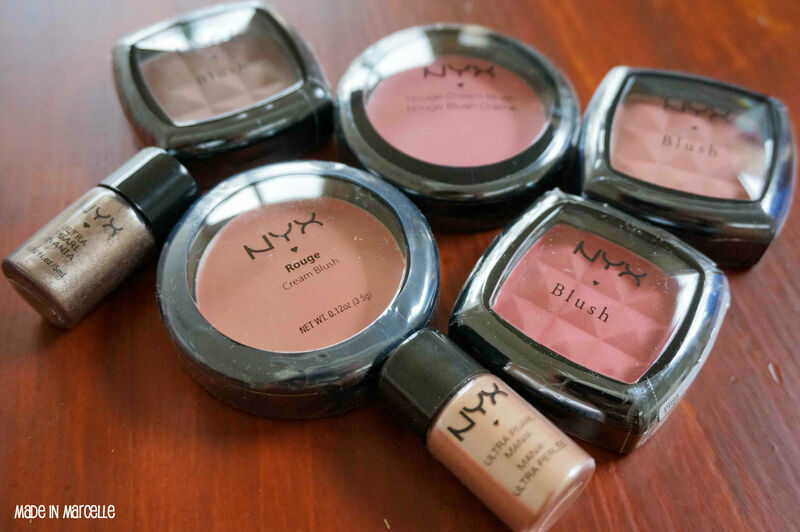 Both Mary and I purchased the NYX Powder Blush in Mauve. Can you tell which one out of the two below is Mauve? Yes that's right, THEY BOTH ARE. I was quite shocked to find out that these two very different looking shades are both "Mauve". Let me show you some more comparison photos. Besides that issue I am very excited to try out these new cheek products from NYX and I'll be swatching all of the products that I purchased so stay tuned! Oh good point :/ I hope they are!! I'll see how they are when I swatch them. Its weird about the two mauves. Everything else looks great, I have the NYX ultra pearl mania shadows and they are super pretty! Oh which shades of the shadows do you have? There were way too many options to choose from! !